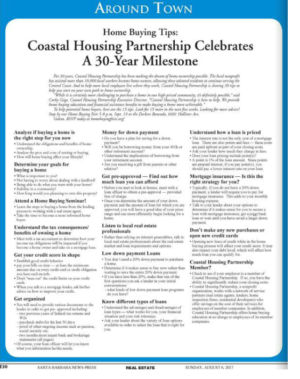 For 30 years, Coastal Housing Partnership has been working to keep home ownership within the reach of local workers. Since 1987, the Santa Barbara-based nonprofit has helped more than 10,000 employees become homeowners through home buying education and savings on home buying costs. The tradition continues for its 30th Anniversary Year with 30 tips to help get you started on your own path to home ownership. Published in Santa Barbara News-Press House & Home! The following 15 tips for potential home buyers are the second set Coastal Housing has released as it celebrates its 30th anniversary. The first 15 tips were published in the August 6th edition of House & Home and can also be viewed below on the coastalhousing.org blog. Looking for more advice? 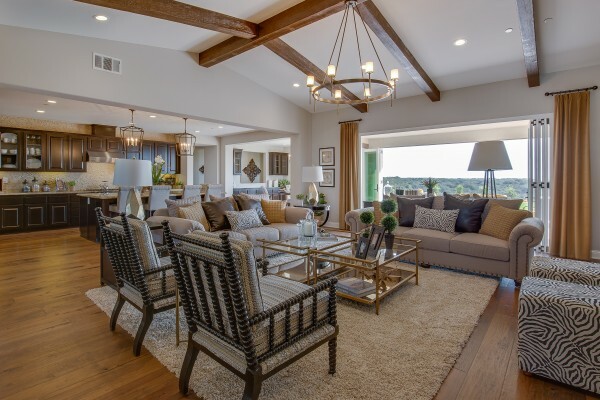 Stop by our Home Buying Fair, 5-8 p.m., September 19th at the Deckers Rotunda, 6601 Hollister Ave., Goleta. RSVP today at homebuyingfairs.org! With so much access to property listings on the internet, it is tempting to think that a buyer doesn’t need an agent. Not so. In a competitive market with multiple offers, having the expertise and advice of a real estate agent can be highly beneficial. The agent should be familiar with the market that you are interested in, help you find a house that meets your needs, recommend how much to offer on the home, negotiate the price and terms of the transaction, and stay involved throughout the term of your escrow – helping you release contingencies and deal with any challenges that arise during the escrow period. Make a list of what you want in a home – needs, wants and dreams. You may have to compromise on some of the wishes, but not on the needs. Make a home comparison grid to help evaluate potential homes. Balance your wish list with budget constraints. Take a photo of the homes that you like and label them with the address, so the homes don’t all blur together. Take the time to research the market, so you feel confident that you are making a wise decision on your home purchase. Check out the street and the neighborhood at different times during the day and on weekdays, as well as the weekends. What seems like a quiet neighborhood during the day may be quite different at night. Or there may be plenty of parking on your street on the weekend, but the weekdays might be a different story. You want to fall in love with the house you’re going to buy – but don’t let that love blind you to aspects of the home that might not be suitable for you and your family. Be realistic with what you can afford. This is a big investment and you want to be thinking with your head before reacting with your heart. Before you make an offer on a home, drive to work from the house at your usual commute time to determine what your realistic commute time would be. Even if you don’t have children of school age, the quality of the schools can often have an impact on the future marketability and value of your home. Understand the zoning in and around the neighborhood – what could be built that could affect the value of your home. That open space that you love next to your home may be a new residential or commercial development in the future. It is at the buyer’s option to order a home inspection, but it is an important aspect of your transaction. A home inspector evaluates the structural, mechanical, electrical condition of the property you are purchasing. This report can help you negotiate an adjustment to the purchase price, if necessary, or enable you to get out of the purchase agreement if the report reveals too many physical problems with the house. Once your offer has been accepted and you sign a purchase agreement, escrow is opened. An escrow company is a neutral third party that works with the buyer, seller, agents, loan officers and other parties to your transaction to coordinate the obligations and paperwork necessary for closing. Your deposit goes into escrow, not to the seller or to one of the agents. A title insurance company conducts a title search to make sure that the property is free of any legal claims against it. You will need to buy a title insurance policy that insures your lender for any loss caused by a discrepancy in title to the property. In addition, an Owner’s title policy protects the buyer from title defects. Home owner’s insurance is not only a good idea, but is also required by the lender. Home owner’s insurance protects you and the lender in the event of destruction, damage, theft and liability. After you purchase your home, if you have private mortgage insurance (PMI), make sure to petition to eliminate the mortgage insurance once your loan to value ratio is at 80% (ask your lender the requirements for eliminating mortgage insurance). If you have an adjustable rate mortgage that you are seeking to refinance, keep an eye on interest rates to determine if refinancing is right for you. Attend a Home Buying Fair! A Home Buying Fair is a great way to get the information, tools, and resources to become an informed home buyer. You will have the opportunity to meet and interview potential members of your home buying team and attend educational sessions by real estate professionals. For more information, go to www.homebuyingfairs.org. This entry was posted in Home Buying Resources and tagged home buying tips, real estate market, Santa Barbara, ventura on August 28, 2017 by Coastal Housing Partnership. 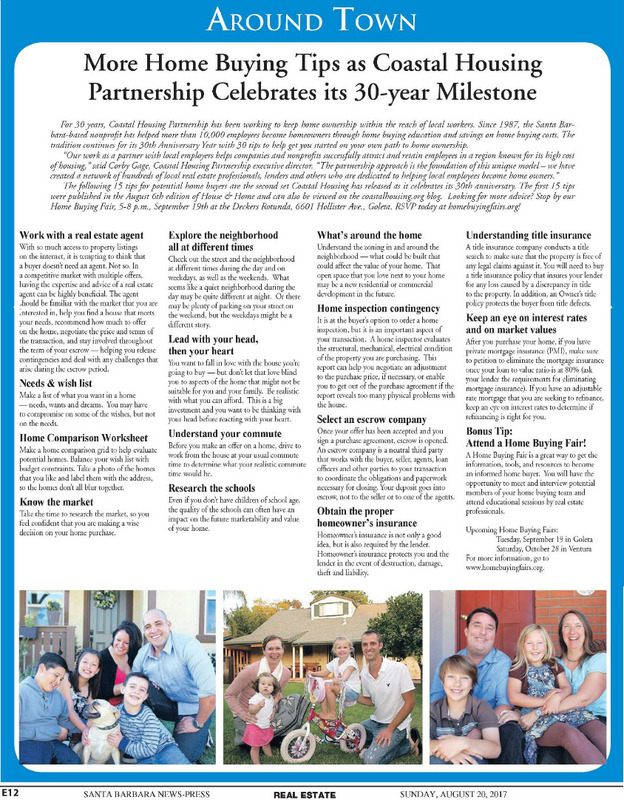 For 30 years, Coastal Housing Partnership has been making the dream of home ownership possible. The local nonprofit has assisted more than 10,000 local workers become home owners, allowing these talented residents to continue serving the Central Coast. And to help more local employees live where they work, Coastal Housing Partnership is sharing 30 tips to help you start on your own path to home ownership. To help potential home buyers, here are the first 15 tips. Look for 15 more next week. Looking for more advice? Stop by our Home Buying Fair 5-8 p.m. Sept. 19 at the Deckers Rotunda, 6601 Hollister Ave.Goleta. RSVP today at homebuyingfairs.org! How will home buying affect your lifestyle? What is important to you? Not having to worry about dealing with a landlord? Being able to do what you want with your home? Stability in a community? How long would you be planning to own this property? Attend a Home Buying Seminar! Learn the steps to buying a home from the lending process to working with a real estate agent. Take the time to become a more informed home buyer. Meet with a tax accountant to determine how your income tax obligations will be impacted if you become a home owner and take on a mortgage loan. Establish good credit behavior – pay your bills on time – at least the minimum amount due on every credit card or credit obligation you have each month. Don’t “max-out” the credit limits on your credit cards. When you talk to a mortgage lender, ask his/her advice on how to improve your credit. proof of other ongoing income such as pension, social security etc. Of course, your loan officer will let you know what you information he/she needs. Do you have a plan for saving for a down payment? Will you be borrowing money from your 401k or other retirement account? Understand the implications of borrowing from your retirement account. Are you receiving a gift from parents or other relative? Before you start to look at homes, meet with a loan officer to obtain a pre-approval – provided free of charge. Once you determine the amount of your down payment and the amount of loan for which you are approved, you will have a good idea of your price range and can more efficiently begin looking for a home. Rather than relying on internet generalities, talk to local real estate professionals about the real estate market and loan requirements and options. You don’t need a 20% down payment to purchase a home. Determine if it makes sense to buy now rather than waiting to save the entire 20% down payment. If you have less than 20%, make that one of the first questions you ask a lender in your initial conversations: what kinds of low down payment loan programs do you have? Understand the advantages and disadvantages of loan types – what works for you, your financial situation and your risk tolerance. Ask your lender about the variety of loan options available in order to select the loan that is right for you. The interest rate is not the only cost of a mortgage loan. There are also points and fees – these costs are paid upfront as part of your closing costs. Ask your lender how much they charge in fees. Does your loan pricing include point(s)? A point is 1% of the loan amount. Since points are prepaid interest, if you pay point(s), you pay should pay a lower interest rate on your loan. Mortgage insurance – is this the right strategy for you? Typically, if you do not have a 20% down payment, a lender will require you to pay for mortgage insurance. This adds to your monthly housing expense. Talk to your lender about your options to determine if it makes sense for you to secure a loan with mortgage insurance, get a piggyback loan or wait until you have saved a larger down payment. Opening new lines of credit while in the home buying process will affect your credit score. It may also impact your debt level, which will affect how much loan you can qualify for. Check to see if your employer is a member of Coastal Housing Partnership. If so, you have the ability to significantly reduce your closing costs. Coastal Housing Partnership, a nonprofit organization, works with a network of service partners (real estate agents, lenders, home inspection firms, residential developers) who offer savings on the cost of their services for employees of member companies. In addition, Coastal Housing Partnership offers home buying education at no charge to employees of its member companies. This entry was posted in Home Buying Resources and tagged home buying tips, real estate market, Santa Barbara, ventura on August 6, 2017 by Coastal Housing Partnership. 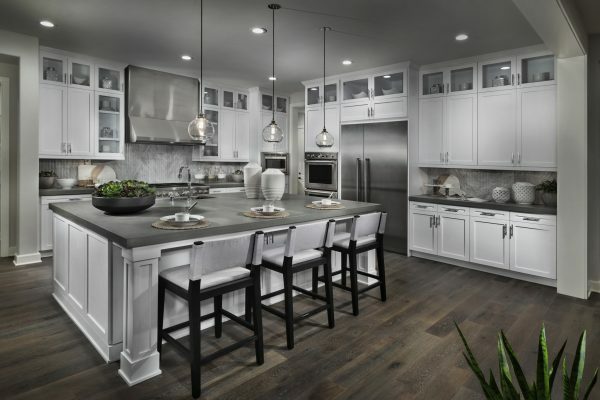 Williams Homes Offers $5,000 Credit on New Homes to You! Williams Homes is pleased to offer employees of Coastal Housing Partnership members a $5,000 credit on the purchase price of a new Williams Homes’ residence. Interested buyers are invited to join the Williams Homes VIP list online to receive email updates about communities. 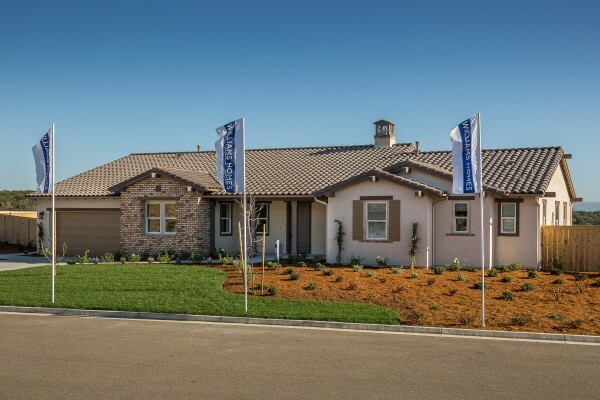 Williams Homes offer the ultimate California lifestyle. Their brand new neighborhoods are now selling and coming soon. Check out their residential communities in Ventura County, Santa Barbara County and San Luis Obispo County. More info. Falcon Heights is the beautiful residential community featured in these photos. For more information about these homes and how you could save money as a Coastal Housing Partnership employee, click here. This entry was posted in Home Buying Resources on February 2, 2016 by Coastal Housing Partnership. The path to home ownership involves planning. Attend one of our Financial Readiness Seminar series as the first step on that path. Coastal Housing Partnership is pleased to offer these Financial Readiness classes to our employees at no cost. These comprehensive classes will take you through the various considerations that lead to home ownership. To find out more and to sign up, visit www.coastalhousing.org.